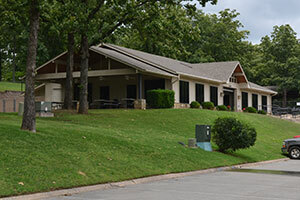 All facilities of the Lakewood Property Owners’ Association are located at 4500 Lakeshore Drive in North Little Rock with the exception of McGee Park and the LPOA Swimming Pool. These are located at 2701 Crestwood in North Little Rock. For any more information, call the LPOA office. The Park Patrol regularly checks the lakes, parks, tennis courts and all facilities for LPOA membership enforcement. Display your LPOA car decal when parked at lakes or in parks. Have your LPOA membership card or driver’s license with you when using LPOA facilities. 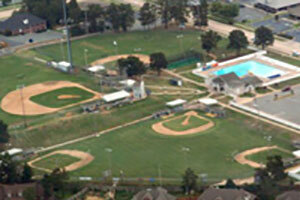 The Lakewood Property Owners' Association has sports fields for softball, t-ball, and soccer. Practice fileds are available throughout the year, unless notified otherwise. 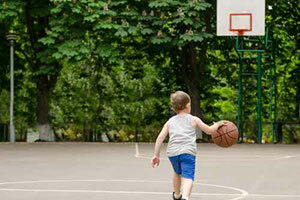 For more information about the sports fields, call the LPOA office at 753-4937. This gated basketball court is for LPOA Members Only. Membership Cards will be checked. For information about the court, please contact the LPOA Office at 501-753-4937. 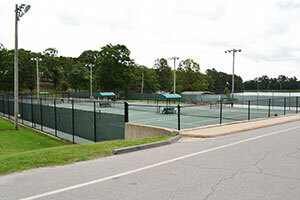 The 5 Tennis Courts are available to LPOA members who purchase full tennis court privileges and must carry their membership card while on the courts. To reserve the tennis courts, call Shaun Frazeur at 501-416-1712. For more information on the Lakewood Tennis Academy, click the link below. 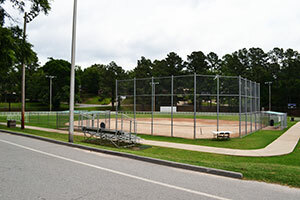 McGee Park is the Lakewood Property Owners Association's major recreational facility and presently serves team sports that draw from outside the Lakewood area. The park contains a large swimming pool and several lighted sports fields. 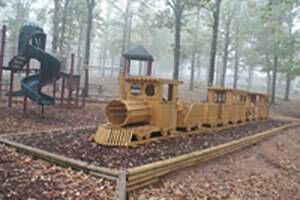 The park is intended to serve Lakewood's extensive youth recreational programs. To check on available dates for our Activity Center please call 753-4937. $125.00 for up to a 4 Hour block of time. (including setup and take-down) Additional hours will be charged at a rate of $25.00 per hour. $400.00 for up to a 4 Hour block of time. (including setup and take-down) Additional hours will be charged at a rate of $100.00 per hour. A $150.00 REFUNDABLE DEPOSIT IS REQUIRED and Completed Reservation Form will be needed before a reservation will be made. 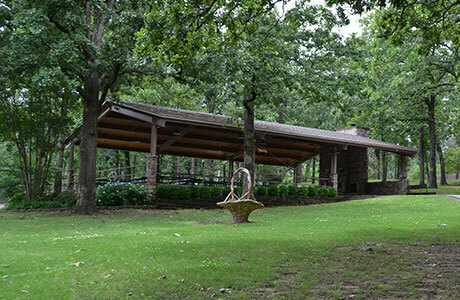 The playground at Lakeshore Park has infant and child/adult swings, an exciting climbing gym, monkey bars, a hand-built wooden train, and a wooden pirate ship with slide all nestled on several acres of green space with a walking trail and exercise stations. You must be a resident of the Lakewood Recreational Improvement District or an LPOA member in order to rent the pavilions. 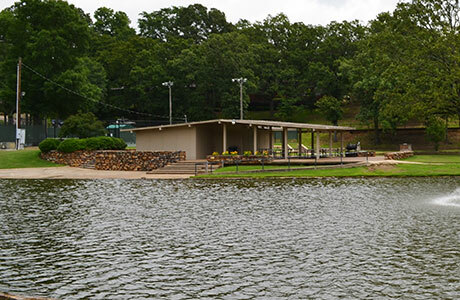 Pavilions may be reserved by calling (501) 753-4937 or coming by our office. Reservations will not be made or confirmed without the fee payment and a completed reservation form.